When people ask what sustainability measures Colorado College has initiated, do you point with pride to pervious paving? 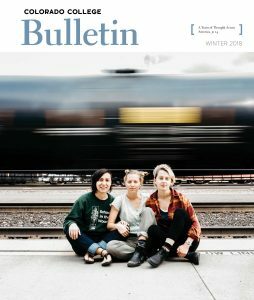 Compliment the composting program? Praise The Preserve? Expound enthusiastically on the environmental mobile lab and energy audits? 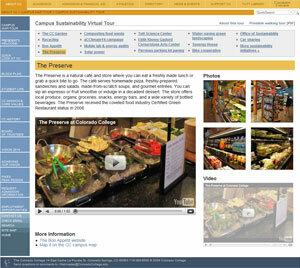 Colorado College has a variety of sustainability initiatives in place, and to help increase awareness of them, the Campus Sustainability Council has launched the Campus Sustainability Virtual Tour.